In an abandoned mansion at the heart of Barcelona, a young man - David Martin - makes his living by writing sensationalist novels under a pseudonym. The survivor of a troubled childhood, he has taken refuge in the world of books, and spends his nights spinning baroque tales about the city's underworld. But perhaps his dark imaginings are not as strange as they seem, for in a locked room deep within the house letters hinting at the mysterious death of the previous owner. Like a slow poison, the history of the place seeps into his bones as he struggles with an impossible love. Oh Carlos Ruiz Zafon you can do no wrong in my eyes I just love your books! 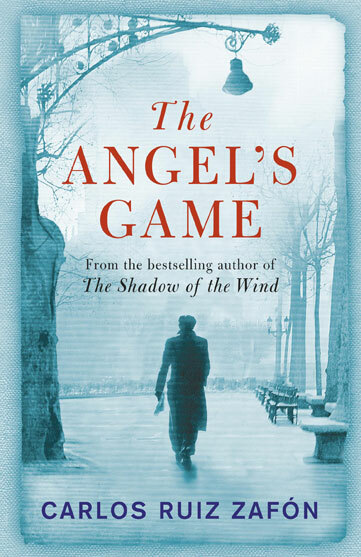 The Angel's Game is the prequel to The Shadow of the Wind and is just as beautifully written. It's a completely different story to Shadow of the Wind, a few characters and familiar places pop up but I don't think you need to have read one book to enjoy the other. There's a definite supernatural element to this book and in my experience that sort of thing has to be superbly written to work and it definitely works in this novel. The descriptions are so vivid and amazingly written that your transported right to the heart of Barcelona with the characters. I don't want to say too much about the story itself as the blurb above tells you all you need to know without spoiling it but I really recommend giving any Zafon book a try. So far I've read this one, The Shadow of the Wind and The Prince of Mist and all of them have been very enjoyable books.